It’s been another positive year of growth and development at Evolve and I am extremely proud of all that our staff and beneficiaries have achieved this year. There remain external challenges such as the continued impact of 1% rent decreases and welfare reforms, which affect our beneficiaries, our business as well as the housing sector in general. However, we welcome the recent clarification on rents post 2020 and more importantly funding for supported housing, which we believe will provide the stability we need to broaden our focus and break the cycle of homelessness. Our successful asset-based support model recognises the strengths of the people we work with and is the template for our new People Plan for our staff. 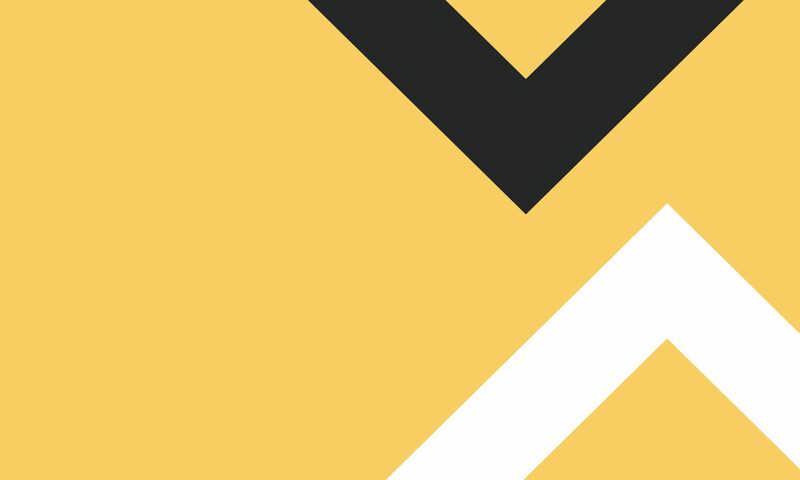 Designed around the pillars of working, wellbeing, aspirations, and community it provides the infrastructure to make Evolve a great place to work and in doing so we will create even more positive change for the people we support. We provide positive interventions at every stage in the homelessness cycle to achieve our mission. From mentoring children at risk of dropping out of school, to supporting homeless young people and adults to reach their potential, and move on to live happy, fulfilled lives. We’ve chosen stories like Ava’s, Ishmel and Valentina’s that illustrate the way our work is helping to prevent and end homelessness. Our recent research revealed that a shocking 80% of the people we work with experienced childhood trauma including physical, or sexual abuse, or family violence, whilst 87% had a mental health diagnosis. 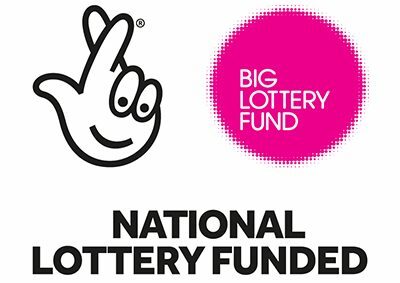 We were, therefore, particularly pleased to secure three years of Big Lottery funding for our Health and Wellbeing work, providing psychological wellbeing practitioners across our services. This will enable us to address underlying trauma and support the people we work with to develop healthy coping skills. I am particularly pleased that our innovative work with children and teenagers, at risk of disengaging from school has been recognised. In Lambeth and Lewisham we have secured Children in Need funding to continue this vital work for another two years which is fantastic. You can read all about how it has helped Ava set her aspirations sky high this year. Our work with partners to end chronic rough sleeping in Croydon has had real traction this year – with the Local Authority commissioning a new Housing First Service and other additional improvements to health and move-on services. We hope to expand this campaign into new localities in coming years. At the beginning of this year we opened our new head office in South Wimbledon in the London Borough of Merton, following our merger with Grenfell Housing & Training. Our central team are now positioned at the heart of our localities, enabling us to develop new partnerships and strengthen existing ones. I am immensely proud of our work this year. On behalf of the Board I would like to thank all of our staff, partners, supporters and beneficiaries for working together this year with such determination, passion and optimism to break the cycle of homelessness in London. Read on for a more in-depth look at some of our highlights this year. We are ambitious and optimistic when it comes to improving the life chances of people with experience of homelessness because we believe that everyone has abilities and talents that can contribute to society. Our asset-based approach focuses on the wellbeing of the people we work with, their satisfaction with where they live, their community connections and their aspirations. A significant development for 2018 has been the delivery of our first large dispersed housing service model. Our successful merger with Grenfell Housing and Training last year has diversified our portfolio, and through the merger we are now delivering homelessness accommodation and support services in three new Boroughs, adding the London Boroughs of Merton and Wandsworth and the Royal Borough of Kingston to our geographical reach. 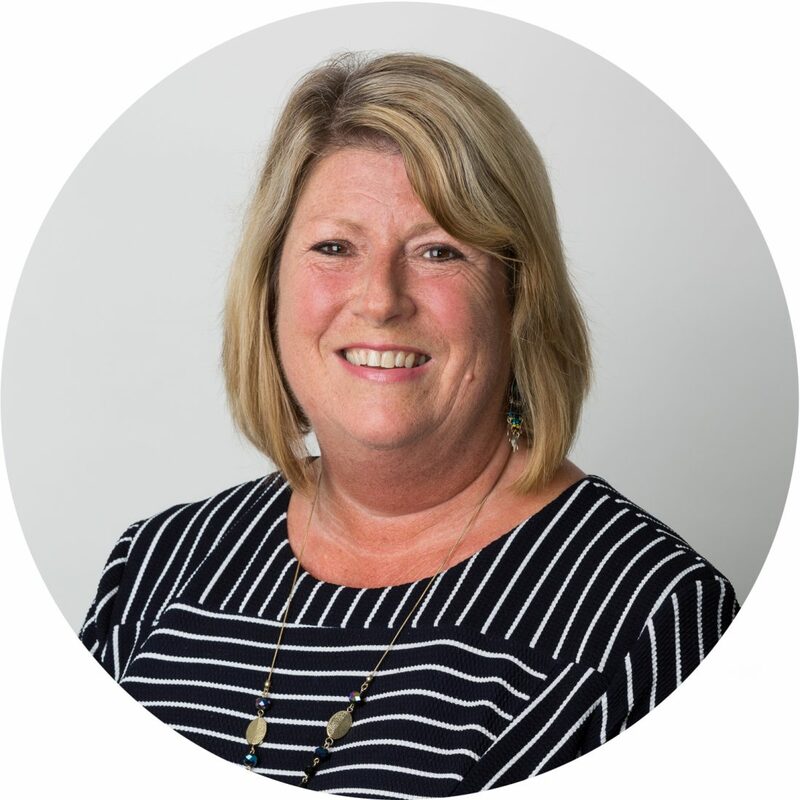 The introduction of the Supported Housing South West team expands the type of accommodation and support we offer, as we are now providing support to semi-independent beneficiaries living in a range of property types, from one bedroom flats to shared houses. This better equips us to support more people, in more flexible ways, across more Boroughs, broadening our portfolio of support for homeless people in London, giving us vital expertise in delivering both hostel and dispersed models. This enhances our resilience as we have an increased capacity to tender for a wider range of services and in more Boroughs in the future. Ishmel became homeless in Wimbledon at the age of 16, but thanks to our support he’s building a career as a football coach and decorating his own flat. We are delighted that our Psychological Wellbeing Programme has secured 3 years of Big Lottery Funding. 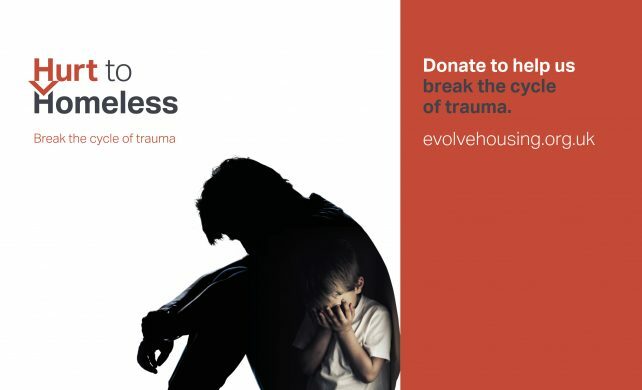 As part of our commitment to breaking the cycle of homelessness this brand new programme enables us to expand our current Health + Wellbeing offer, tackling the underlying issues that have contributed to people becoming homeless. Our research indicates that 87% of the people we work with have a mental health diagnosis with many of them having experienced significant childhood trauma (Hurt to Homeless Report). Building on the success of our existing counselling programme, the project was launched in October this year and our team of highly experienced and qualified psychological wellbeing practitioners are already working with beneficiaries who have higher complex needs, supporting them in a more flexible way. This means the people we work with will now get individually tailored psychological and therapeutic support to move through the recovery process and rebuild their lives. The Psychological Wellbeing Programme will contribute to long-term positive outcomes for the people we work with by addressing the underlying trauma behind their mental health challenges. The team will enable customers to develop healthy coping mechanisms and an understanding of their behaviour which they can take forward after they leave us. The programme will provide 6 Peer Advisors to support clients to understand and access health care support services available, and empowers them and their peer advisors through co-produced workshops to live independent yet connected lives. We look forward to sharing their successes next year as the programme begins to change lives for the better. Supported by The Big Lottery Fund and European Social Fund, Peer Circles is a three-year project working in collaboration with St Giles. Together we cover Central and South London, taking the lead on the outer South London boroughs of Bexley, Bromley, Croydon, Merton, Sutton, Kingston and Richmond. 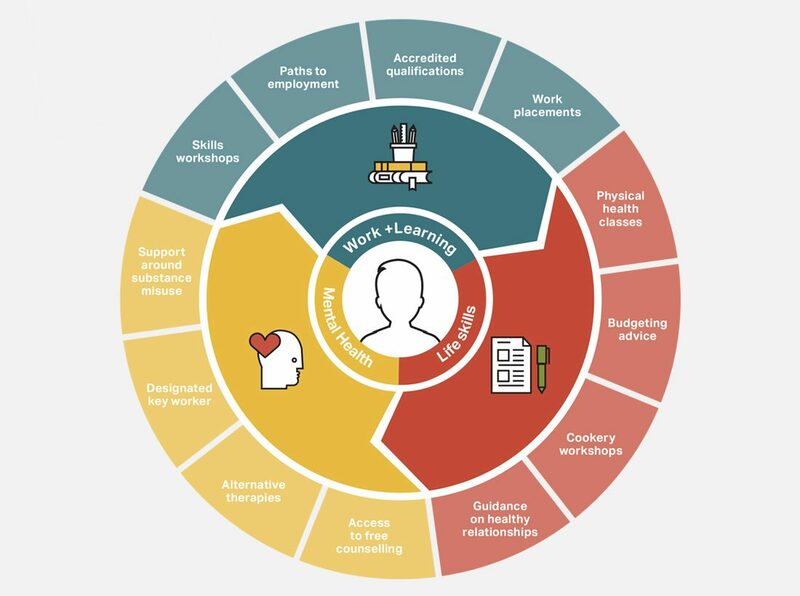 Peer Circles provides a flexible approach that doesn’t just look to tick off employment outcomes, but instead looks at where people are and how to support them to move to where they want to be. Crucially this project offers support after people have moved on to independent living, helping them successfully transition. Susan was living in a hostel in Croydon after experiencing domestic violence and a brain tumour. She was referred to our Peer Circles programme, which has helped her regain her confidence and build a support network. Now she feels she can overcome anything. We are pleased to report that our Horizons mentoring project has secured continuation funding for two years from BBC Children in Need. Building on the success of the current project, we are working to tackle the causes of homelessness, providing support to children and young people. 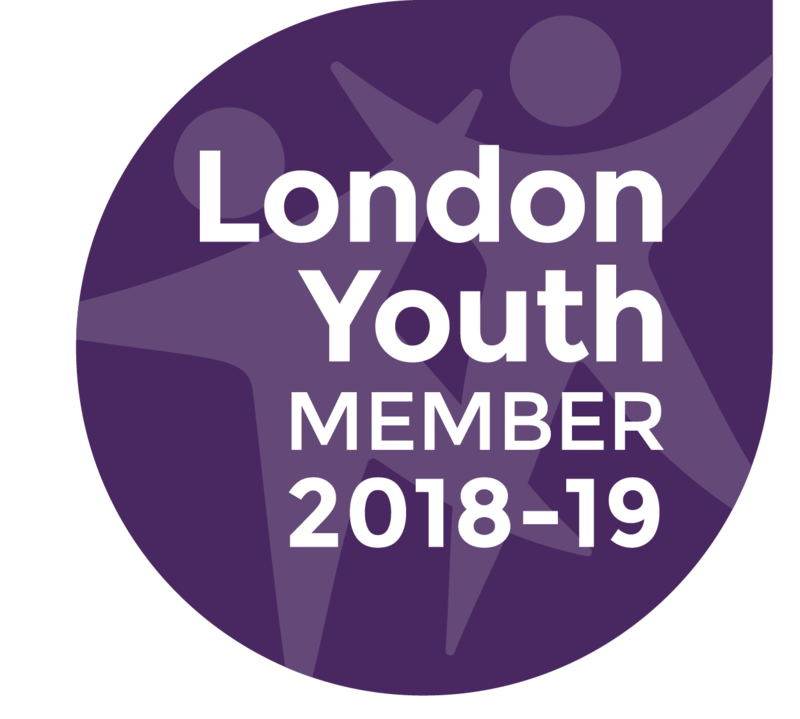 The project will be able to continue to provide children and young people in schools in Lambeth and Lewisham a mentor to support them to reduce the likelihood of them becoming NEET (not in education, employment or training) and thus prevent future homelessness. The project provides a qualified youth worker, and supports volunteers from the local community to deliver targeted work in schools, helping us reach more children and young people increasing their resilience and self-esteem, as well as improving their academic performance and educational engagement. Ava was struggling with dyslexia and dyscalculia which was affecting her progress at school. Her challenges to grasp literacy and numeracy were undermining her self-esteem and confidence, and so her school encouraged her to take part in our Horizons Mentoring Programme. She was matched with her Horizons mentor, Lizzie, in March 2017 and they met regularly until July 2018. Horizons supports children and young people in school to develop resilience and an ability to cope with change. Having a mentor gives young people the support they need to stay engaged at school, helping to prevent social exclusion, and gives them the tools they need to achieve in their education to improve their future prospects. Mentoring helped Ava overcome personal hurdles, empowered her, and improved her confidence and self-esteem. Lizzie supported Ava using solution focused techniques to help her to overcome her dyslexia, using visual learning approaches such as mind-maps, colour coding, pictures and flow charts to help her remember and recall information. As Ava moved into Year 11, her Horizons mentor was vital in helping her achieve in her GCSE’s, supporting her with exam anxieties and encouraging her to persevere. Ava is now attending sixth form studying A Levels in Travel and Tourism, and Health and Social Care. Since the Horizons Programme Ava has been thinking more about her future aspirations, and now hopes to become part of the well renowned British Airways cabin crew following a work placement with them. We are very proud of Ava’s achievements which just go to show that the sky really is the limit with the right support. Ava has worked very hard, and she will continue to go onto great things. 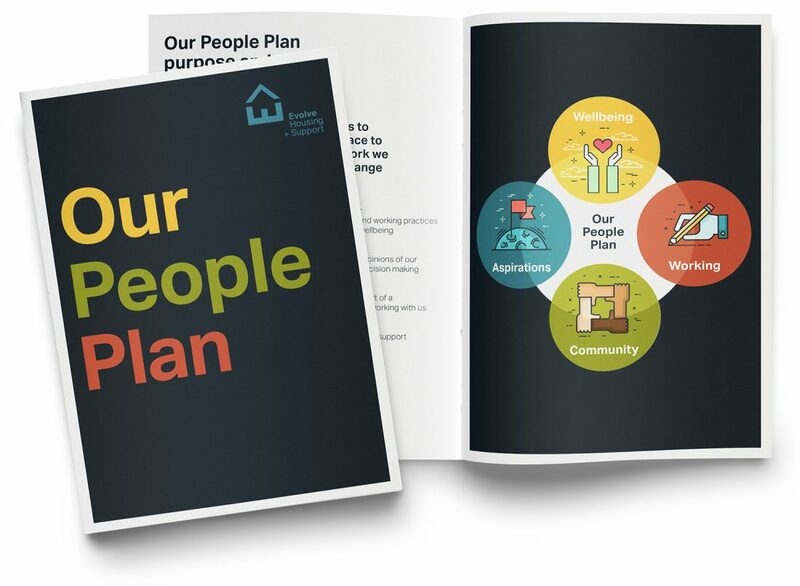 As part of our commitment to inspire our team our first People Plan sets out goals and actions that will improve working arrangements for everyone in the coming years. It has come directly from staff feedback, from our staff survey and from feedback meetings held in January and February this year, addressing staff concerns, whilst retaining all the great aspects of working at Evolve which staff told us they value. It is designed to support the corporate plan and our ambitious plans for the future. The four pillars of our People Plan closely mirror those of our Support Plan, which we launched last year. Our successful asset-based support model recognises individuals’ strengths. Designed around four pillars of wellbeing, working, aspirations, and community it provides the infrastructure to build a great place to work, enabling us to continue to create positive change for the people we work with. Michael served his country for 10 years before becoming homeless in Bromley. Today he’s rebuilding his life and looking forward to fatherhood. Valentina lost her mother and grandmother at an early age. She got involved with gangs and saw her life spiralling. Now 19 she’s planning her future. Andrew worked for years before family breakdown led him to rough sleeping in Croydon. Today he’s on a work placement and once again optimistic for the future. This year Kate Hardie, actress, writer and director joined our growing list of Ambassadors. We have a growing range of corporate supporters that have supported our work this year. 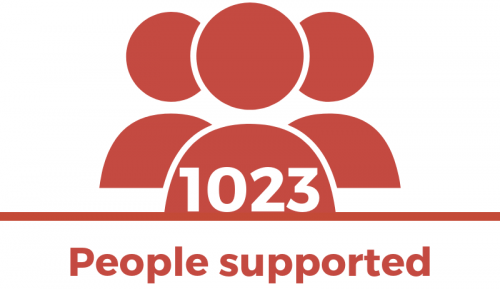 We are growing our community of fundraisers and volunteers have supported our work this year. We provided accommodation for 1023 adults and young people during 2018. We survey our beneficiaries each year to track our performance, and over half of the people we work with responded with their feedback. Overall our survey revealed higher satisfaction rates in our adult services than in our young people’s services. This is something we will be working on in the coming year. 86% felt we are helping them to make positive changes in their lives. 87% felt they receive enough information to help them maintain their accommodation. We are proud to report that this our best result yet. 84% of our residents thought our service was good value for their rent. Croydon has one of the highest levels of rough sleeping in the UK and that number has risen significantly in recent years. 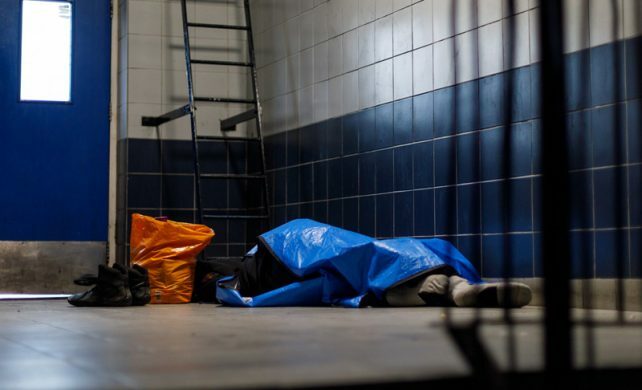 We’ve been working to find innovative ways to help end rough sleeping in the borough by 2020. Understanding homelessness is integral to being able to stop it. Our perceptions of homelessness report explored the difference between the public’s perceptions of people who are homeless, and the reality for those we work with. Our recent research shows a strong link between trauma, mental health and homelessness. 80% of the people we work with have suffered a traumatic event in their childhood. Counselling gets to the core of the issue, helping people to get off the streets and live independent lives. The Big Lottery Fund, European Social Fund, City Bridge Trust, StreetSmart, BBC Children in Need, The Albert Hunt Trust, St Giles, Santander Discovery Grant, Small Grant, LandAid, Sanderstead Ward and the London Hostels Association. Tesco, City Harvest, Felix Project, Costco, Sainsbury’s, The Hummingbird Bakery, Nando’s, M & S Food and Pret a Manger. Conan Kealy, Adetoun Isikalu, Isabel Sanchez, Anousha Tamony, Sian Barry, Emily Steel, Steven Kavanagh, Alix Langrognat, Amazon PR, Croydon College, Jayne McGibbon, Helen Hainsworth-Millar, My Super Connector, St John’s & St Andrews Church, Jonathan Davies, Tilly Holland, Mark Hambelton, Matthew Cromwell, East Croydon Cool, All About Me Boutique, Jack Rathborn, Fulkers, Pip Merri, Austin Mitchell, Elspeth Hayde, Sainsbury’s Local South Wimbledon, Sainsbury’s Local West Croydon, Sainsbury’s Local George Street, Kellie Fortune, Superdrug, The Wellness Therapy Centre, Pure Gym, Urban Smoothie, Centrale Shopping Centre, Katie Hatrick, Lionel Gwasaze, Pooja & Jonathan, Richard Adcock, Shaking Hands Interactive Partnership, Lawrence Grant, Lesley Rettie, Level Developments, Alex Watt Dave Thompson, St Winefrides Church, South Wimbledon, Siemens Rail Automative, Leyland SDM, Husain Alogaily, Fitness First, Balham, The Be Group, GAP Wimbledon, Everyday Church, Stamptastic, St John The Evangelist, Brightspot Fundraising, Jane Evans, Victoria Clarke, Lush, Lakeland, AMP House, Alan Hiscox, Jim Nayyar, Lyndall Stein, Rotary Club of Kensington + Chelsea, Arti Patel, Felix Projec and Costco.